Shridevi Institute of Medical Sciences & Research Hospital is established by Sri Shridevi Charitable Trust, Tumkur, with a dream to build a new world to provide quality based Medical education. 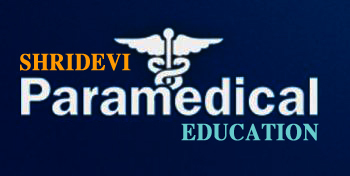 The Trust to its fold has Shridevi Engineering college, Nursing, MBA, Paramedical Courses and other degree colleges and schools. A noted Surgeon Dr. M. R. Hulinaykar had the foresight to envision a huge leap in the demand for qualified professionals in various disciplines. Sri Shridevi Charitable Trust was founded in 1992 to give motivated and committed students a conductive platform to pursue higher education and to realize their dreams and equip themselves to take on the world. Shridevi Research Hospital has an objective to provide affordable medical services to the community with the skill, knowledge and resources of its highly qualified, experienced staff in all specialty and super specialty. It also has full-fledged high laboratories, radiology including CT Scan, MRI and color Doppler to prevent, diagnose and treat diseases. The land chosen is on the National Highway-4, and is ideally located to serve people from all taluks of Tumkur, Bangalore (Rural) districts. Chitradurga as it is situated in NH4 and Hospital is only 300 meters from the Highway. The location is easily accessible by public transport. The hospital is equipped with up-to-date medical technology and facilities to provide modern state of the art medical treatment to the poor and needy. He is the Founder chairman and Managing trustee of Sri Shridevi Charitable Trust established in the year 2001 with the aim to provide quality education to all the sections of the society and Shridevi Institute of Engineering & Technology was started by the trust in the year 2002. Dr. M. R. Hulinaykar is a surgeon by profession and is the Managing Director of Shridevi Hospital and Diagnostic Centre of 200 beds, which is a leading hospital, started by him in Tumkur city. He has a family of doctors who are presently practicing in the hospital in various departments like Pediatrics, Gynecology, Surgical Gastroenterology, Spine surgery, General Medicine and Ophthalmology. Under his leadership, the trust is also running a host of educational institutions starting from primary to collegiate education offering B.Ed., D.Ed., Nursing, Paramedical, Engineering courses, etc. He is a philanthropist, distinguished personality epitomized with "Service and Development" as his motto. 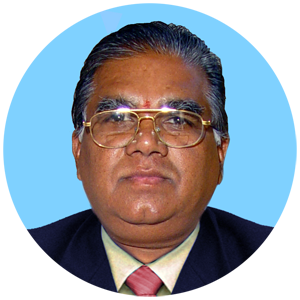 He is General Physician by profession and he is the trustee of Sri Shridevi Charitable Trust. He looks after the day-to-day activities of the hospital. Dr. D. K Mahabalaraju Passed MBBS during 1976 and MD Community Medicine from JJMMC Davanagere in 1989. He has 39 experience after PG degree and about 20 years as Professor and HOD. He has vast experience in teaching and as well as administration.